I mentioned the other day that I had a full review coming up of the August subscription box from Ugly Bug Does, and here it is! The theme this month was rockabilly which makes me so happy. What I love about Ugly Bug Does is that you don't get the typical unicorns, rainbows and bunnies themes, you get something a lot more unique. It's a breath of fresh air. So, what was in the box? All I can do is kick myself for this photo, I'm gutted. 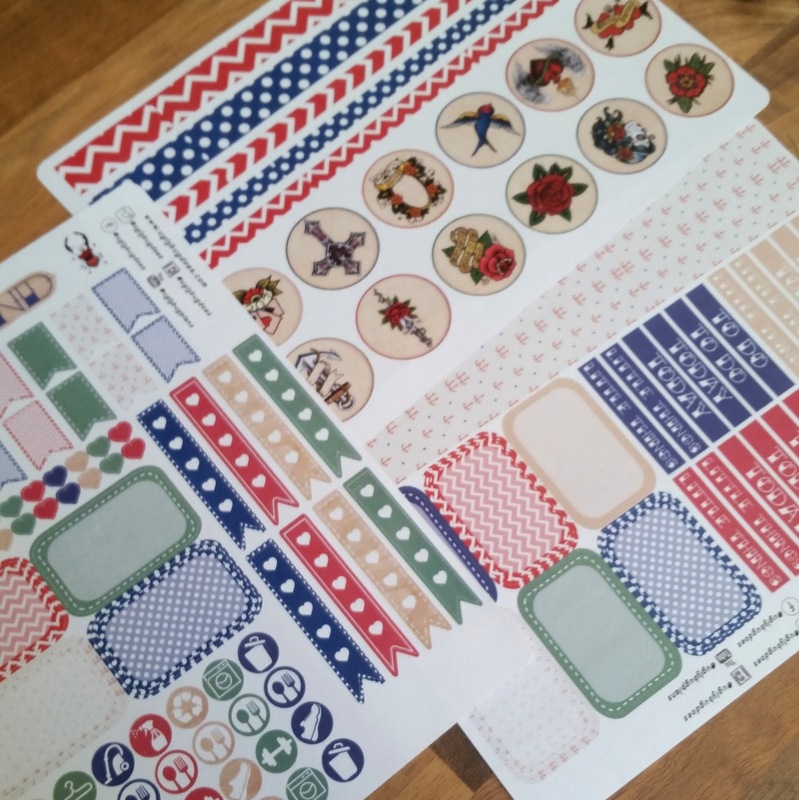 All of my photos of the sticker sheets that I took before using them came out blurry :( So I can only apologise. 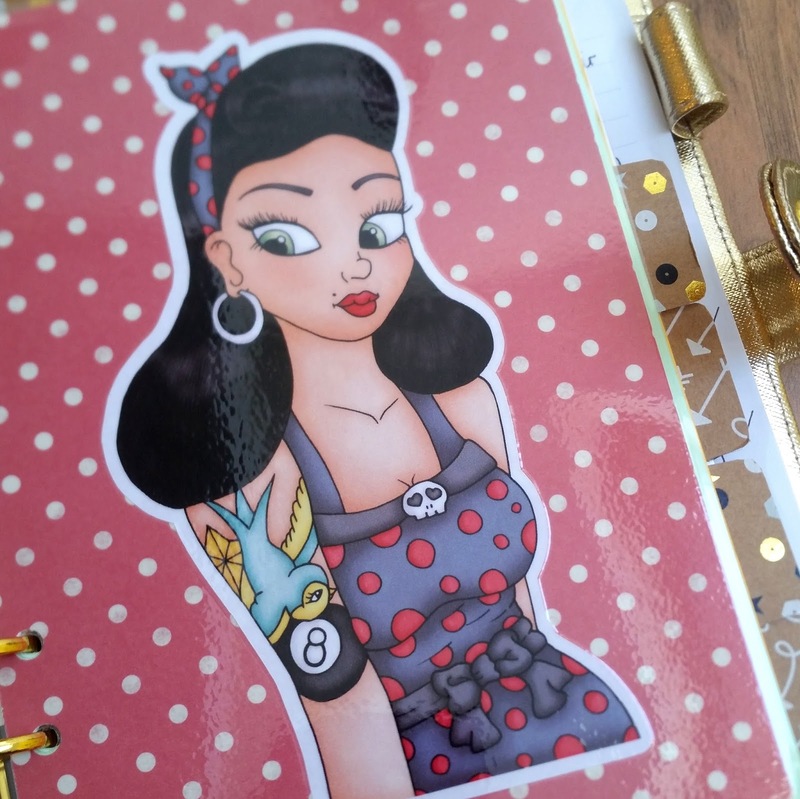 But the first item in the box is three sheets of exclusively designed sticker sheets all with the rockabilly, classic tattoo theme. There are boxes, to do lists, banners, icons and pretties which can all be used to liven up planner pages. 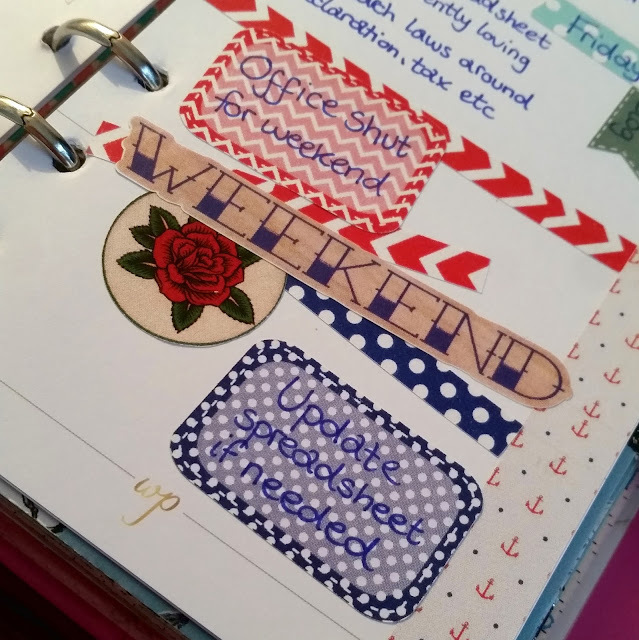 In order to make up for the awful photo out of focus photo, I have taken the photo above to show off some of the stickers in action on this weeks pages of my work planner. As you can see, the quality is beautiful and the stickers all work really well together to build up a themed planner spread. Next up is this gorgeous rockabilly girl showing off her swallow tattoo and pretty dress. She was designed by Slinkytart and turned into a dashboard by Ugly Bug Does. 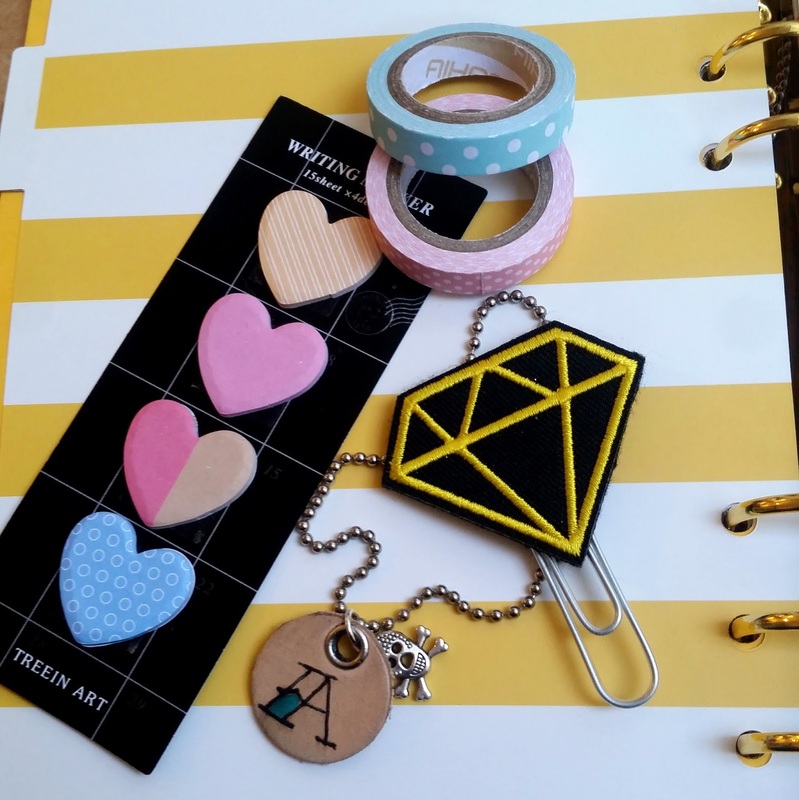 When ordering your subscription box you specify the size or type of planner that you use, so these are customised to work with your planner. I also received a lovely little selection of goodies. The planner charm was customised for each order with the initial of their first name which I think is a lovely touch and really adds to the appeal of ordering from Ugly Bug Does. The eye catching planner clips have become a bit of a trademark of the Ugly Bug Does boxes over the last few months, and this month did not disappoint. Again, it offers something that little bit different from the usual planner clips that you find, which makes it extra special. And finally, two rolls of skinny washi. These are thicker than your usual washi tapes, it feels like they're made from a good quality thick paper. I like the gentle colours and I use skinny washi in my spreads every week so these will definitely get used up. 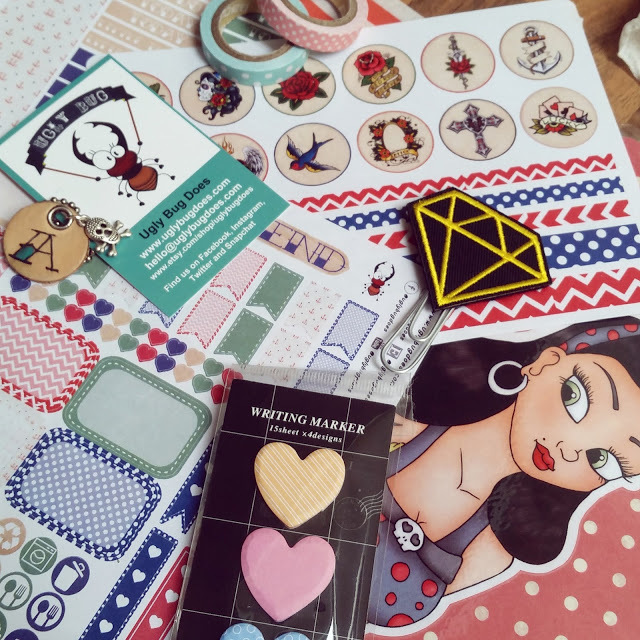 This months box is right up my street with both the theme and the contents so I have really enjoyed using everything from the box. I don't yet know the theme of next months box and haven't seen any spoilers so I'm very excited. You can find Ugly Bug Does *here* on Etsy. I have noticed a pre-order listing for a Famous Boy Wizard box which makes me way too excited! A planner helps to be organized and complete the task at given time, or even before that. They motivate you do all the task on time.